Dry-erase marker is refillable up to four times and is made from a high percentage of recycled material. Visible, long-lasting ink supply delivers vibrant colors and erase cleanly. Innovative Twin Pipe Feed system ensures smooth and steady ink flow. The broad chisel point makes the vivid dense writing clearly visible from a distance. 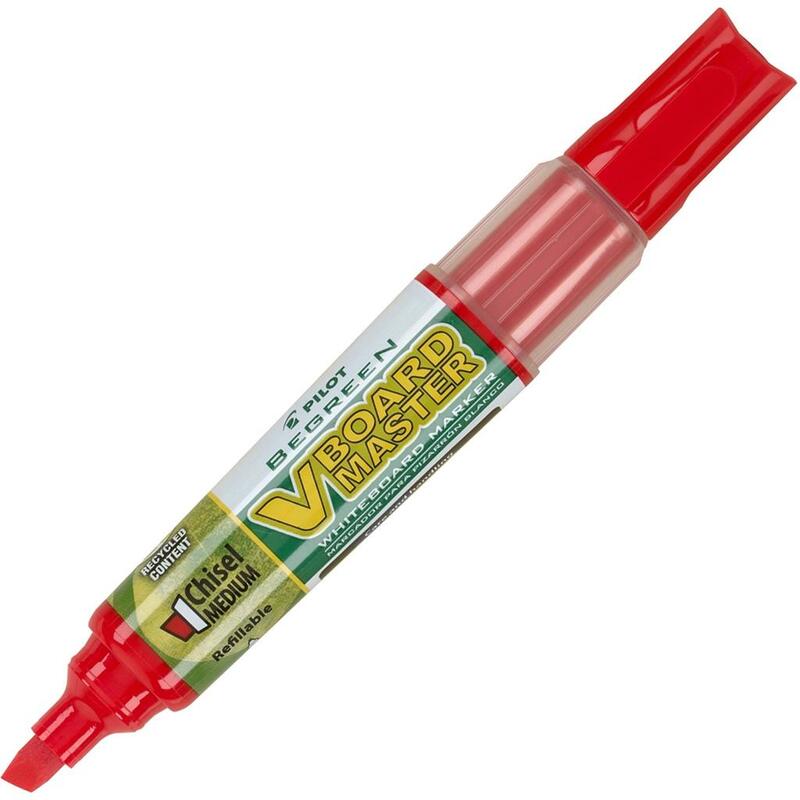 Refill with Pilot V Board Master refills for continued use.